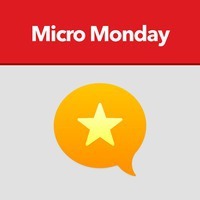 Jean: Hey, it’s Micro Monday again, the weekly microcast where we get to know members from the Micro.blog community. I’m Jean MacDonald. I’m the community manager here at Micro.blog, and today, I am very excited to talk to Simon Woods, who is @simonwoods on Micro.blog. Hey, Simon, how are you doing? Simon: Hi, Jean. I’m good. How are you doing? Jean: I’m doing pretty good. I’m having a nice transition into fall and getting to talk to a lot of community members from Micro.blog. It’s interesting because obviously, we do one show a week, and so, the chance that I will eventually talk to everyone is slim. But, some people like you have been on my mind for a while, and I wanted to get you on the show. I’m really glad that you were able to take some time today and do this recording with me. Simon: That’s really cool. I love the podcast. I’ve been listening since Episode 1, and it’s always a lot of fun to find new things and just get that feeling. I feel it on the timeline when you can see people getting to know each other, and the podcast really brings that to life, which is great. Jean: Yeah, I’m very happy doing it and getting to know people, and if I had nothing else to do, I would do one a day, so we would get more people on and faster. But, this is not realistic. Jean: Why don’t you tell the listeners a little bit about yourself before we dig into some of the microblogging issues. Simon: Okay, cool. I’m from the UK. I’m a carer, which some people might think of as a caregiver. I’m a carer at home, so it’s like a live-at-home carer. One of the things I’ve been trying to do for a few years now is try to work from home, as well. It’s the new indie dream, as it were, on the internet. Oh yeah, just work in your house, and that’ll work out. I do like blogging, obviously, and that’s a big thing that I’ve definitely over the past year or so really really gotten into, and it’s helped me as I’ve tried to work on different projects and get involved in things like I care about, but also with an eye to what was it I want to do beyond being a carer and make a living, obviously, because you have to have a roof over your head. That’s where I’m at right now, and I’m enjoying Micro.blog, obviously. I have a project to do with that. I like taking pictures of my cats, putting them on my blog sometimes, and all the fun stuff, enjoying things that people put on the web because I love it when people express themselves. Jean: So, blogging and independent working from home and cats—it sounds like you’re the quintessential citizen of the Internet. Simon: Exactly, and I’ve even tried to grow a beard recently; I like my coffee. It’s really bad. You think of yourself as—Oh, I’m going to do things because I want to. No, I listen to podcasts, and I read things from bloggers, and I’m like “oh yeah, that looks good,” and I just fit into all these neat little boxes. Jean: Are you sure you don’t live in Portland? Simon: I’ve heard that basically the northwest of the U.S. is very, very European-like. Jean: That’s interesting. I’d never really thought of it that way, but I do like Europe, and I do like the Northwest. To swing around back to your having a project that’s related to Micro.blog, why don’t you tell us a little about that and what your goals are there. Simon: Sure. It’s called “Today I Learned.” I wanted a name, not too sort of “out there,” or difficult. Obviously, it’s one of the web acronyms that a lot of people are familiar with. It’s a basic idea which says to people who want to use Micro.blog, who maybe aren’t sure about certain things—OK, here’s some tips, and here’s some help, and here’s a way to get going from the point of view of—I’m just a person on Micro.blog; I’m not obviously involved with any development or anything like that. I very much like it when people make things for other people to help them understand what’s happening. I like that. I like seeing people help other people. It makes me really happy. Jean: Before Micro.blog, what kind of blogging were you doing? Simon: Well, I’ll say it as quickly as I can because I don’t want to give a whole bio lf my life. The very early days for me was forums and message board type things, you know, back in the dark ages as as we say. That to me was the internet. Of course, Wikipedia came along, and that became a lot easier to embrace. I, for the most part, dodged Facebook because it was where real-life things go, and at that point, my real life was relatively simple. There wasn’t too much for me to put a lot of effort into. Then, through some web hopping, I think it was mostly YouTube, it was CGP Grey who I found. Then, it was this thing called a podcast. OK, that’s interesting; let me give that a go. Then, I became aware of podcasting, and then, because obviously the web and blogging are massively connected to podcasting. it was so easy to be like—oh blogging, yeah, I remember that, and I had a project at this point. It was, for about six years, this hobby-based, fandom project, and part of that was trying to use a blog with it as well as the message board that it was based on. There was different variations of that, and eventually, what I realized was—I don’t know if THIS needs a blog, but I think I need a blog. So, I thought, okay great. Well, Tumblr, that’s the thing. I got onto Tumblr and then eventually became somewhat disenchanted with different parts of it. Then Wordpress because it’s just everywhere. At that point, I thought I wanted to do personal blogging, and I tried to do that as well as the project, but the project got very big in ways that I wasn’t—I was ambitious, but there was a lack of direction with it, and there were things going on in my personal life that made things a bit difficult. So, in the end, that went to one side, but the blogging stayed. So, I had my own blog in different guises. Eventually, I landed on WordPress as an idea. Then, at some point, I came across Micro.blog. At that point, I was like—actually, this looks a lot better because as great as WordPress is, I don’t want to deal with a control panel. I just don’t. This is my personal site. I’m not doing that much. I just want something that can work for me. If I want an easy day, I can do that, and maybe, it has potential to be a bit more complex if I want to. I remember at some point coming across Manton because of his work. It was well after he had first stopped using his first Twitter account. I saw this Twitter account, and I thought—there’s the last post from 2012; there’s no more. At this point, I was thinking—Oh, wow, he did it! This guy literally said “I’m done,” and he’s never gone back, and that was to me—wow, he made a decision and stuck to it. That’s brillliant! When Micro.blog came along, it was like—yup, definitely, this is too good a coincidence to ignore. Jean: Well, Simon, is there anything else that you wanted to add about what you like about Micro.blog or what you would change about Micro.blog. Simon: Obviously the community, I think that’s what most people say, but it’s true. There’s just a lot of people who are very happy to have a space that—It’s like we can, not just start again, but also back before social networks, we did this thing where we spoke to each other, and because it was a bit difficult, we spent a bit more time and care, and that’s what’s happened. I see it all the time, people having lighthearted chats all the way through to discussions, and I’ve not yet seen somebody turn nasty or anything like that. It’s nice. I’m not saying that would never happen because you know, law of numbers, you know certain things are bound to happen. The whole thing is brilliant for the hosted Micro.blog especially. I was previously on it, and then I turned that into a personal blog rather than my full website. But, then, recently, I went back to it being my whole website partly because I just want one thing—I want to simplify but partly because the improvements are just so good. Over time, it just gradually gets better and better in different ways, and it’s made a lot easier for me to go—OK, there’s whole site. Jean: I know that you recently posted a piece about what Micro.blog needs, and I will link to that in the show notes, so if people want to get Simon’s ideas about directions that this platform could go in, I think that would be really good because you’ve obviously thought about it, and you write from the perspective of somebody who is engaged in the community. Simon: That’s really nice of you to say. I thought I was going to do a quick list just for the Twitter thing, and then, next thing you know , it’s 2,000 words—oh, no! Jean: Thanks again for coming, Simon,. Simon: Thanks so much for having me. It’s been brilliant. Jean: Also, I should mention that if you want to follow Simon on Micro.blog, there’ll be a link for that in the show notes, or you can just go to Micro.blog/simonwoods. I thank everybody who is listening, and we will talk to you next week.